The Times Colonist is the oldest daily newspaper in Western Canada, created by the 1980 merger of the British Colonist and the Victoria Daily Times. Since 1981, home-grown sports reporter Cleve Dheensaw has been contributing to the sports section, gradually become the byline to look out for when it comes to coverage of local high school, amateur, university and international athletes and their stories. 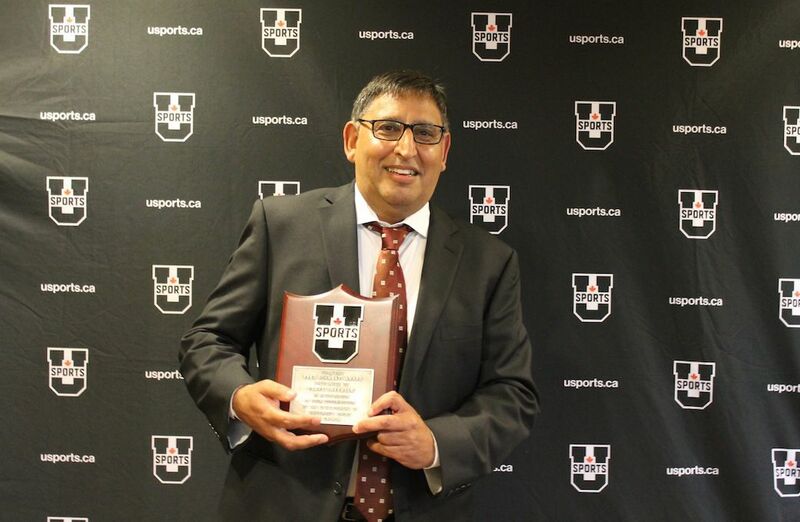 On June 7, Dheensaw was awarded the prestigious Fred Sgambati Media Award by U SPORTS in recognition of his long-time passion and creativity in telling the stories of student-athletes. In true reporter fashion, Dheensaw’s acceptance speech was a story in itself. “It was just the start of a remarkable era at the University of Victoria and Canada West in general and I got to chronicle it all,” Dheensaw said reflecting back on his start at the Times Colonist. “A young point guard from Sudbury named Eli Pasquale looked west to play basketball at UVic at just about the time I started covering the team. A home-Island forward named Gerald Kazanowski arrived at about the same time. There was a coach named Ken Shields, who perhaps as a harbinger, counted as his idol John Wooden. The rest is history. Dheensaw went on to recognise the powerhouse UVic rowing team at Elk Lake under Al Morrow, several of whom he had the chance to cover right up to their international careers. 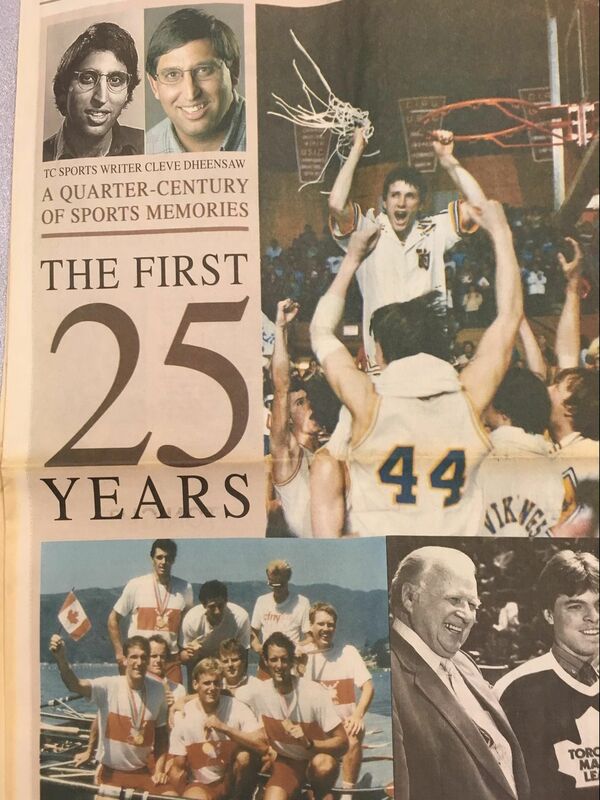 “It just blew my mind as a young sports writer that athletes I routinely covered day to day at UVic, like rowers Dean Crawford, Grant Main, and Kevin Neufeld, were suddenly winning gold medals at the (1984) L.A. Olympics,” added Dheensaw. His list continued to include memories of covering Charles Barkley beating Karl Malone for gold at the Summer Universiade; Pasquale and Kazanowski and their great Canada West and Calgary Dinos rival King Karl Tilleman facing Michael Jordan and Patrick Ewing in the Olympic semifinals; UVic field hockey players like Nancy Charlton, Lynne Beecroft and Milena Gaiga at the Olympics from L.A. to Barcelona; and UVic rugby legends Gareth Rees and Marky Wyatt going on to captain Canada in World Cups. Dheensaw, also a University of Victoria grad has travelled to cover a combined nine Olympic, Commonwealth and Pan Am Games since joining the paper in 1981. 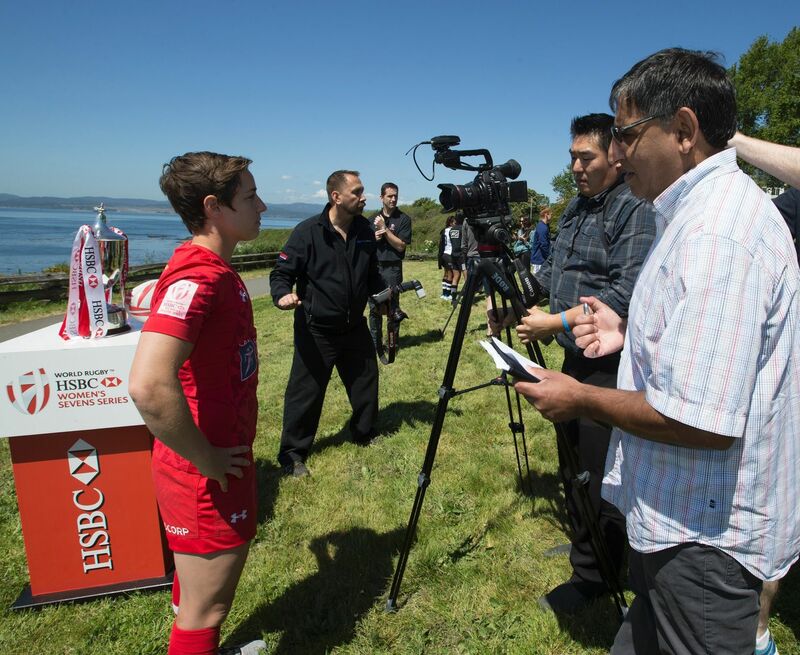 Dheensaw has also been a familiar face in Vancouver Island's high school, college and university sports scenes, including at Victoria's most recent national championship events – the 2016 U SPORTS Women's Rugby and 2017 ArcelorMittal Dofasco U SPORTS Women's Basketball championships. 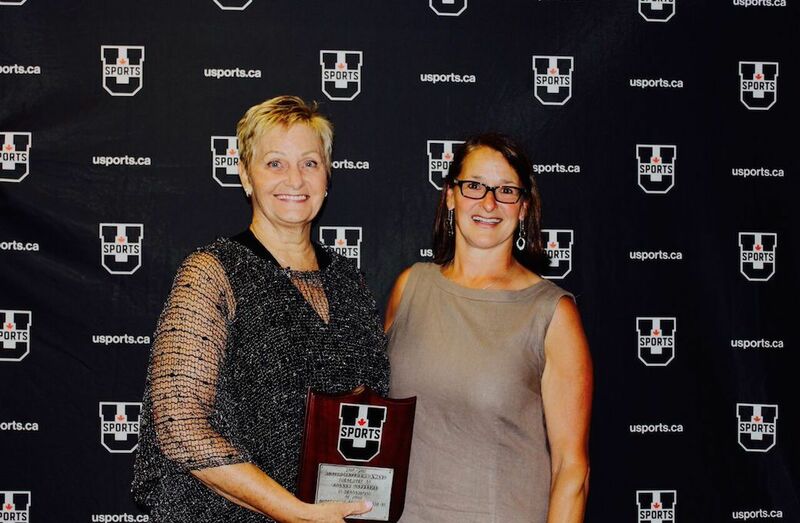 Dheensaw becomes just the second Vancouver Island sports reporter to win the national award following Jim Crerar of the Victoria Daily Times in 1975. Previous Canada West nominees include A-Channel and now CTV reporter Jason Pires (2007-08) and Times Colonist's Ron Rauch in 2012-13. The closing of Dheensaw’s acceptance speech highlighted his gratitude for the athletes who competed in the CIAU, CIS and now U SPORTS for giving him the opportunity to tell their stories. His work is without a doubt a lasting part of many Vancouver Island and university athletes’ careers.